The origin story of Blackbird, a startup that links travelers to planes and commercial pilots through an app, didn’t begin with air travel. It was prompted by car sickness. Blackbird CEO and founder Rudd Davis, who was getting his pilot’s license at the time, asked his flight instructor if he would fly his family to Tahoe because his son gets terribly sick every time they traveled by car. What Rudd discovered was an incredible experience that was far more affordable than he realized. Davis launched the company in 2016 and has spent the past two years honing in on the business model as well as adding commercial pilots and members. Now, with fresh capital from New Enterprise Associates, Blackbird is ready to spread its wings. The company announced Tuesday it has raised $10 million in a Series A round led by NEA. NEA partner Jonathan Golden, who previously worked at Airbnb, has joined the Blackbird board of directors alongside Francoise Brougher of Pinterest, Square, and Google, and Andrew Swain, who is also from Airbnb. Blackbird has also hired Brian Hsu, who spent a decade at eBay and most recently vice president of supply at Lyft, as chief operating officer. Davis is counting on Hsu, who has experience scaling marketplaces, to help Blackbird expand its membership and reach. Blackbird currently has more than 700 commercial pilots, who fly passengers between 50 and 500 miles from and within California. For now, Davis said this is a self-imposed geographic restriction. “We’re trying to build up density and build up the network and optimize it before we start replicating it to other geographies,” Davis said. It does face challenges. 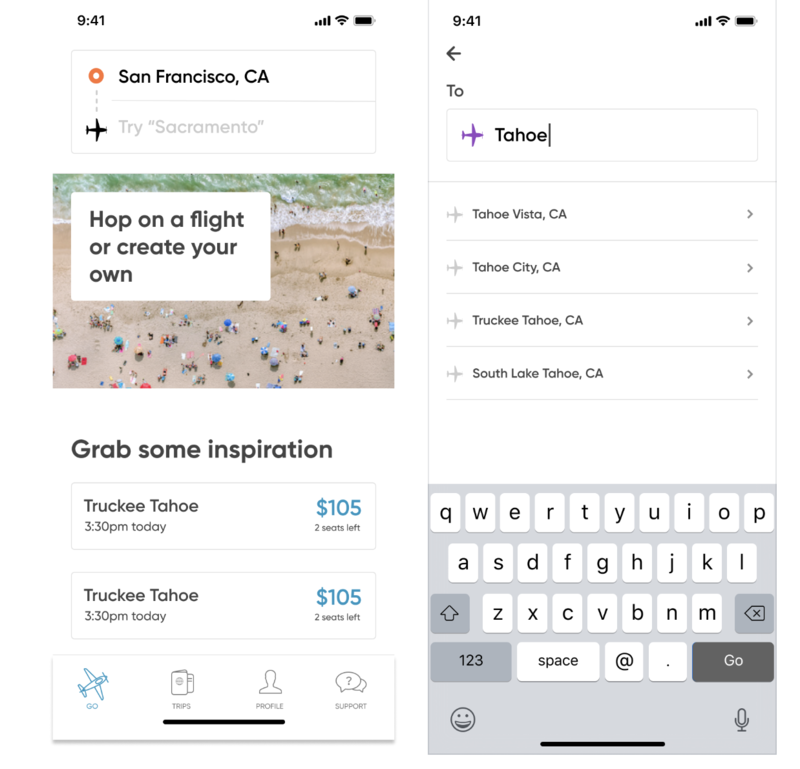 Blackbird has to find that price per seat sweet spot, which is largely driven by how many users and pilots are on the platform. Seats can be around $80 or upwards of $900, depending on the route, pilot availability and demand. And Blackbird must fight misconceptions of what and who the platform is designed for. “A lot of people have looked at this space before, and really have kind of come up empty handed,” said Golden, who was a seed investor into Blackbird before joining NEA. What makes Blackbird so compelling, Golden added, is that it’s not about luxury travel, but instead about how to actually replace driving through flights, which is really compelling.